Quality Plumbing & Heating in Weyburn offers several products and services to meet the plumbing and heating needs of homes and businesses. If you need a new air conditioner, don’t sweat it. Quality Plumbing & Heating has central and window units available to cool any size home, apartment, or business. Tempstar also has a variety of air conditioning products. Annual maintenance will ensure you get the most years possible out of your air conditioner. Our AC experts will inspect the unit, test it for energy efficiency, check and clean the ventilation system, refill the refrigerant as needed, and advise you of any repairs needed before the summer heat arrives. We also make any type of AC repair, including hose leaks, wire shortages, compressor or blower motor repairs, and any other minor or major repair you need. Gas fireplaces provide an attractive, energy efficient alternative to heating your home only through the furnace. They are easy to maintain and don’t require the extensive cleaning and firewood needed with a traditional fireplace. We have units that can be customized to fit any size space, including restaurant and hotel fireplaces, and in the wall or mantled designs. If you have an existing fireplace that needs to be cleaned or repaired, Quality Plumbing and Heating in Weyburn provides maintenance and repairs. We’ll have you reading a book or enjoying family time in front of a fire again in no time. We provide any type of plumbing service, including installation, maintenance, and repair for any fixture. We work with kitchen sinks, garbage disposals, dishwasher hookups, bathroom sinks, showers, bathtubs, toilets, laundry tubs, and floor drains. We also repair and install water heaters and pipes. Our team works with new construction and remodeling projects for homes and businesses, completing major overhauls or minor repairs. 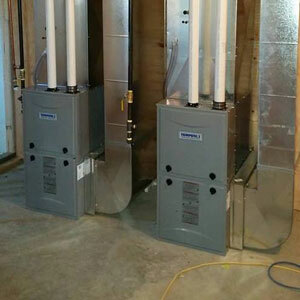 Our HVAC professionals also provide any other type of heating service or installation. This includes cleaning, repairing, or renovating your ventilation system, installation or repair of in-floor heating systems, thermostat repair and replacement, and repairs for other types of furnaces such as electric and oil units.